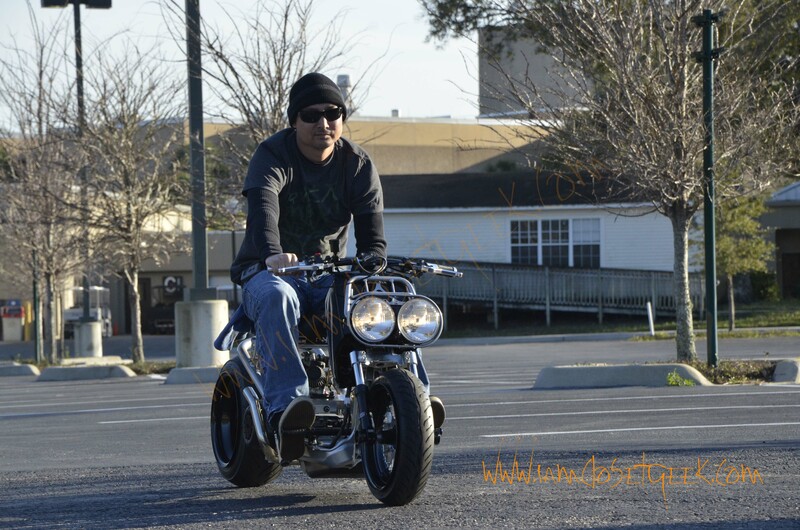 The Honda Ruckus has become a staple within the car and motorcycle community. 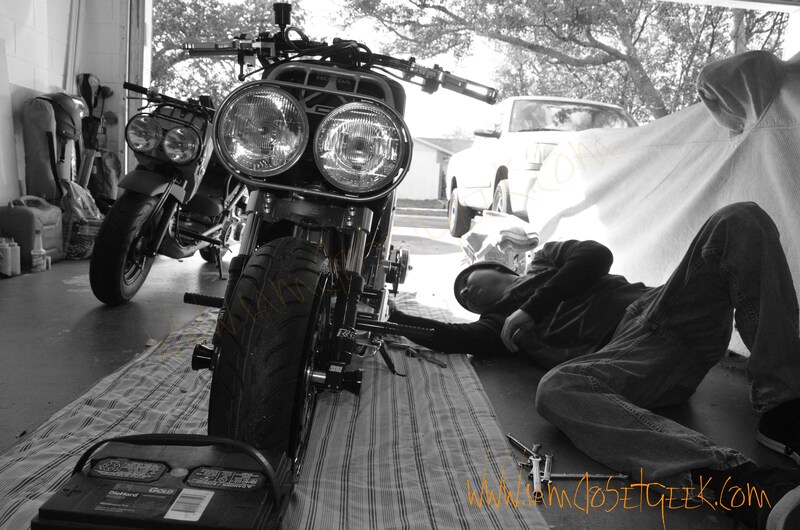 Although the Honda Ruckus all come from the dealer looking the same, owners that mod make builds their own with different setups. These changes can range from colors, stance, tuning, wheels, engine swaps etc. These little machines are an enthusiasts passion and often break the necks of passersby who watch and hear “Rucki” rolling down the road. The art of customizing these scooters is a hobby of which the owner can create a masterpiece. It’s very rare that once an owner starts tailoring a build to their liking that you see any two Rucki that look similar. This holds true with a build that a friend of mine who got me into the scene has just about completed. After almost a year and a half build time of gathering parts, finding a titled frame, and being meticulous about everything, Ken was pleased to finally take his GY6 project out for a short spin so we could snap some shots. 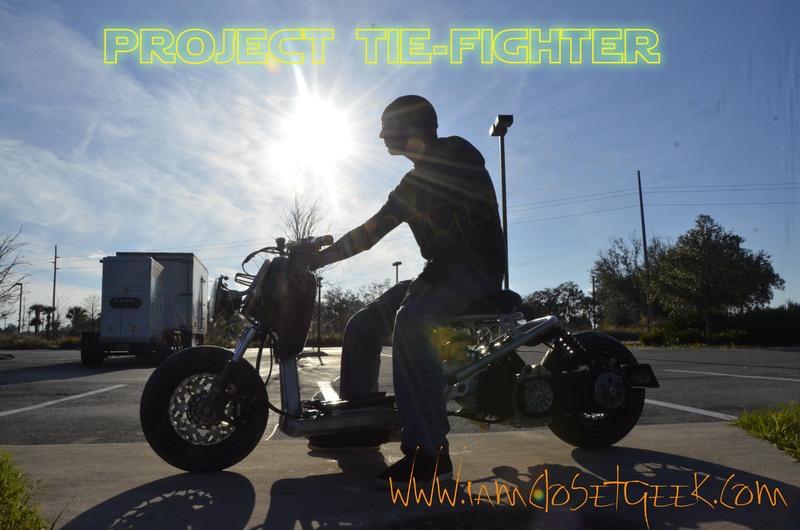 The theme of this build – The Tie Fighter. Initially this build was modeled after Ken’s 69 Stingray Corvette using the same color scheme. Being the star wars fanatic that Ken is, little touches of the Galactic Empire were added here and there as you can see in the shots below. 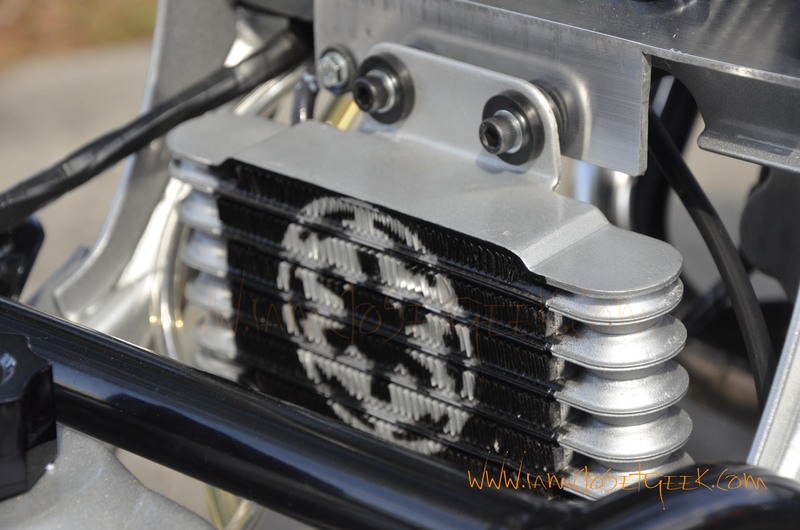 Note the Imperial crest on the oil cooler, rear part of the frame, and Darth Vader valve stem caps. 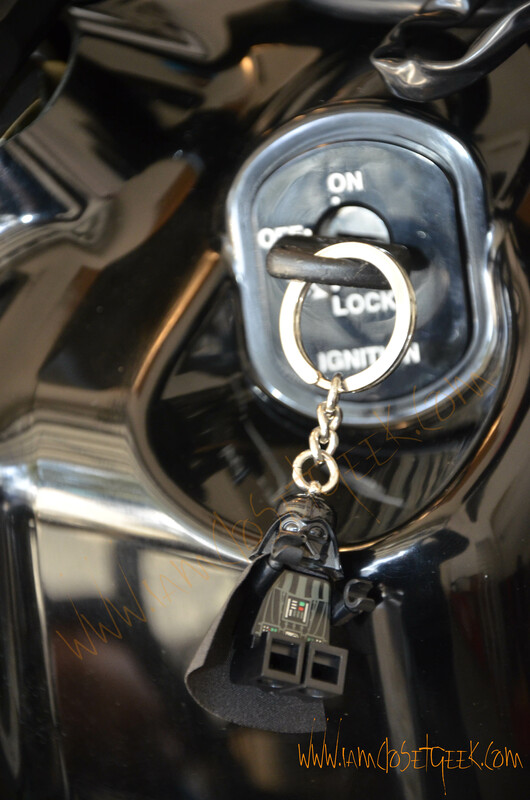 Also the namesake Darth Vader Lego key chain which dons the key that starts this beast up. 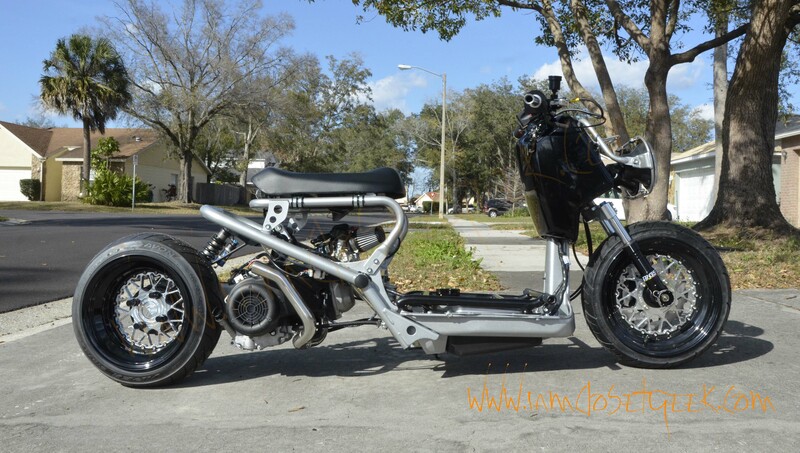 The Ruck was powder coated Cortez Silver and Black locally at Performance Kote in Orlando Florida. 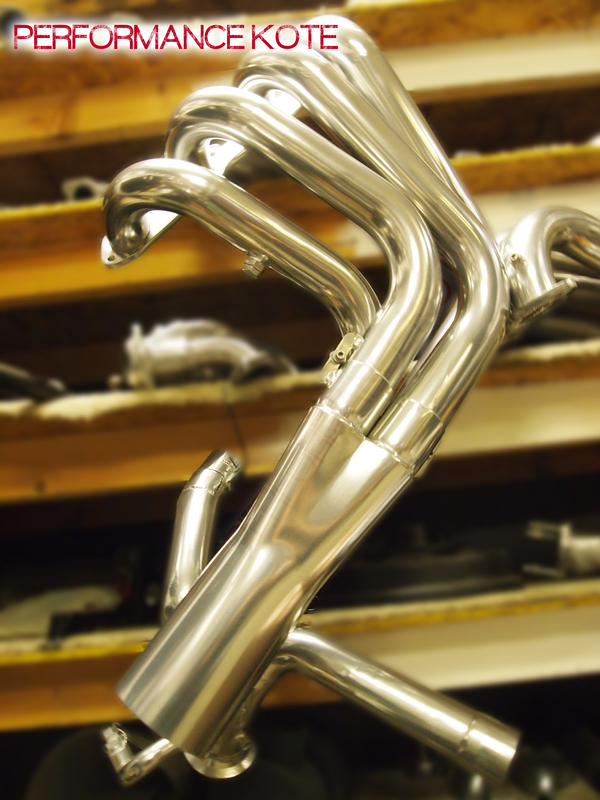 Performance Kote is the premiere powder coating shop in Orlando Florida that performs coatings on everything from cars, motorcycles, airboats, and firearms. 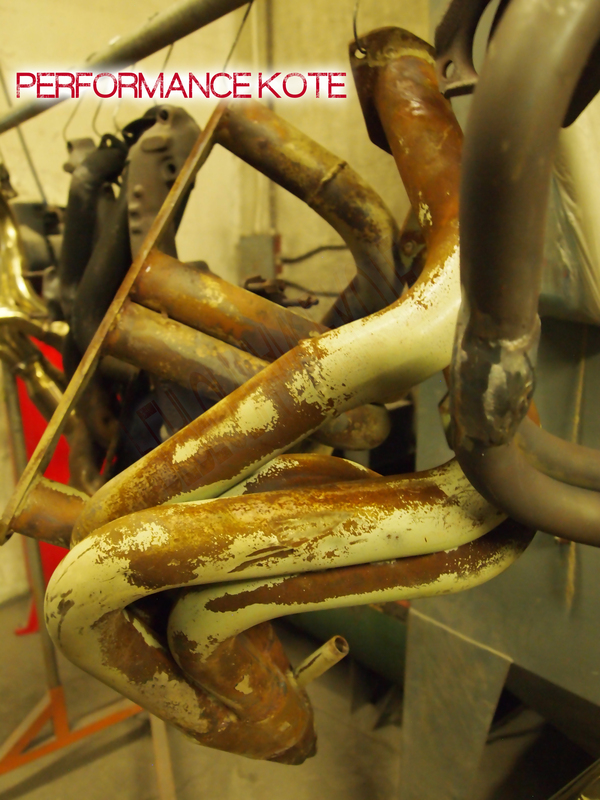 The shop also does CeramaKrome which is good up to 1300 degrees Farenheit. The shop also builds custom Honda Ruckus Scooters, distributes parts, and recently has opened a Ruckus Division showcasing new styles of wheels for both GET and GY6 models. 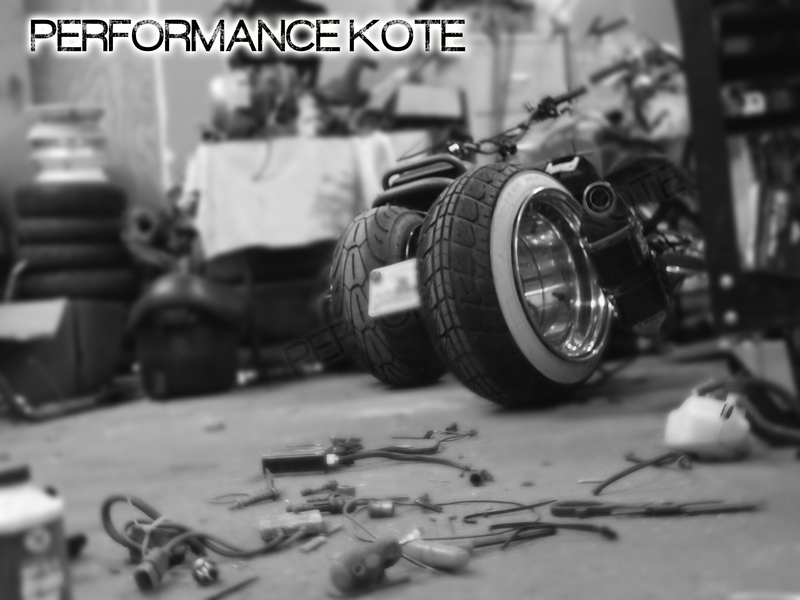 A feature on Performance Kote will be posted soon. 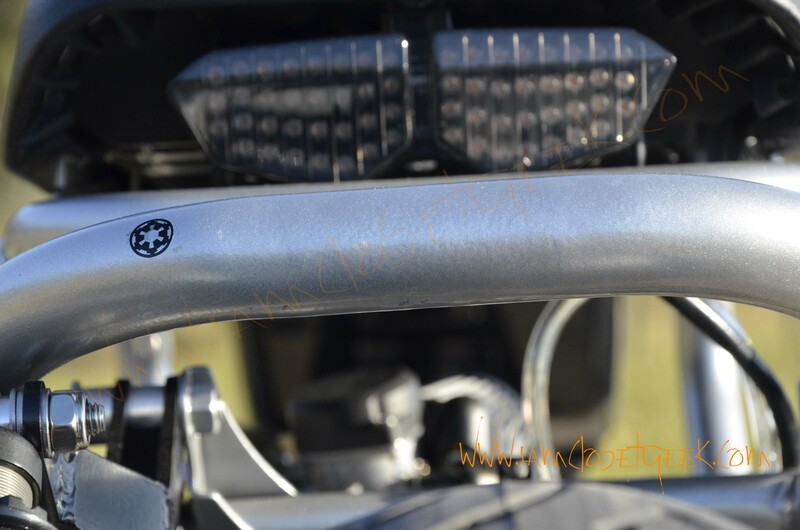 After waiting for almost sundown to shoot you can see how The Tie Fighter shows off its glistening pop. 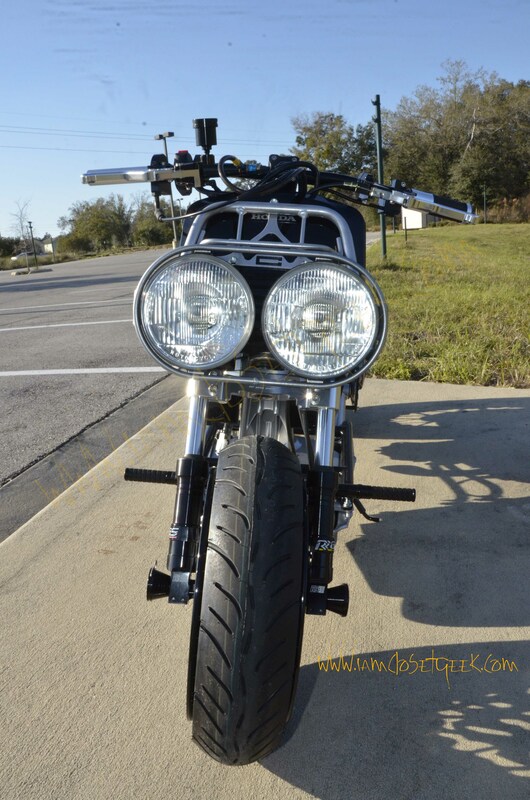 DorbyWorks Mesh Love Wheels, Composimo Fatty Stance mount, Composimo Open CVT Drive Cover, Composimo Headlight Frame Lowering Bracket, GY6 170cc, 30mm CVK Carburetor, Fox Pro Adjustable Shock, BTX GY6 Big Bore Header, Makoa GY6 Harness, R6 Tail light, Stage 6 Controls, CRG Levers, Oil Cooler, RRGS Front Disc Brake Set Up, Mikuni Vacuum Fuel Pump, and “lots and lots of love.” The Pictures do not do this build justice and seeing and hearing The Tie Fighter run is an even greater joy. Attached below is a short video I threw together of the Tie Fighters first run. The Emperor would approve to add this beauty to the Empire’s fleet. Later in the week we made a stop at RuckHouse to see what “Ruckus Candy” owner Robert Smith had in stock. 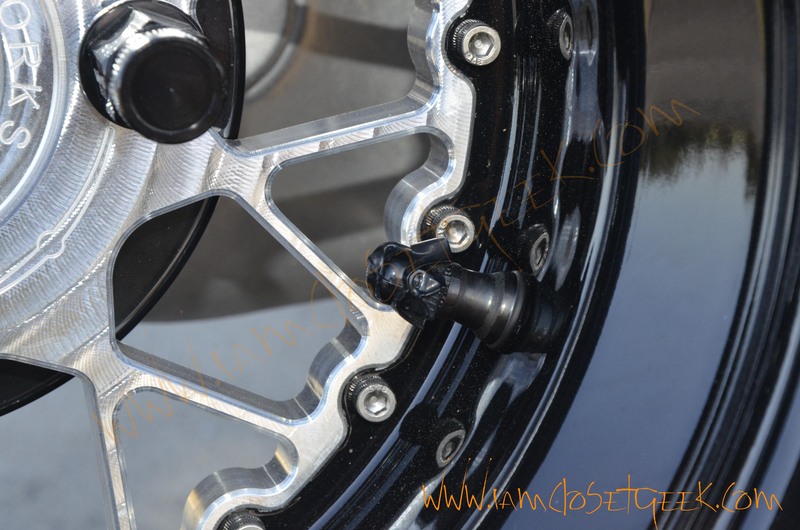 This is a great place to pick up and exchange knowledge, and find Honda Ruckus products for bling or to get your GET/GY6 performing the way it should. A post on Ruckhouse will be coming soon.